END UNIT. An extraordinary find in a fantastic neighborhood with great schools, walkable streets, and quiet charm at an amazing price. Distinguished craftsmanship & high-end features come standard in classic Cotswold Springs, where shopping & dining are right in your own backyard. These condos offer the best of both worlds: carefree, charming neighborhood living with the allure of an urban lifestyle & convenient access. 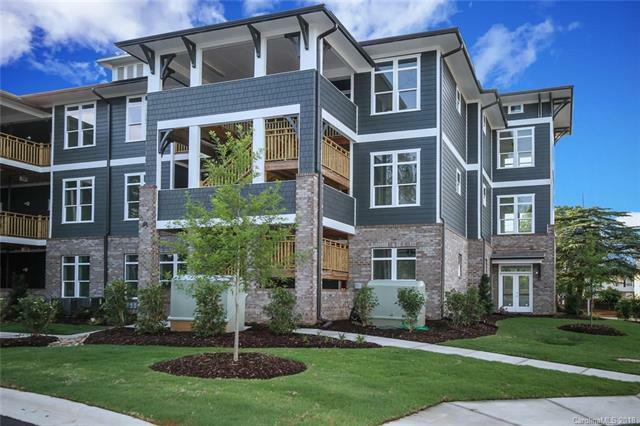 Brand new condo with wide open living space, 10' ceilings, stainless appliances, quartz countertops, and Kronoswiss & tile flooring throughout (no carpet!). White, solid wood, slow-close shaker style cabinets; recessed lighting, bar top seating, & subway tile backsplash. Walk-in closet & oversized walk-in shower plus double vanity in the master. Prewired for AT&T Fiber. Cotswold Springs is only 5 miles from uptown and less than a mile from The Common Market on Monroe. Your drive to all the amenities at the Cotswold Village Shops and the new Publix is only 1.4 miles.